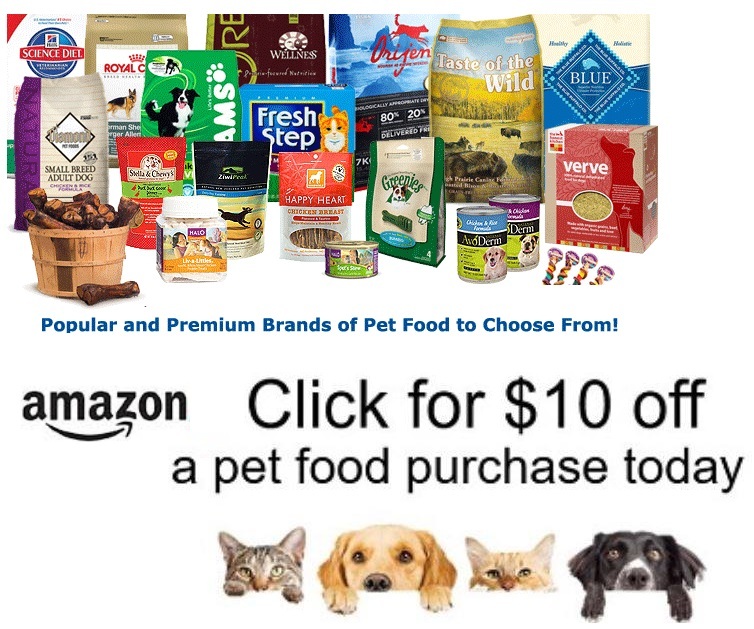 $10 of Free Pet Food From Amazon! Does not work for all accounts, but does seem to work for about 70% of the people that tested it for me. You get $10 off, makes anything $10 or less free or get $10 off more expensive items. Give it a try and get your Free Food! Click the $10 offer and then add to your account. IF YOU DON'T SEE THE $10 OFFER then your account doesn't have it, sorry!